Pär Nyrén is a Junior Research Fellow with ISDP’s Stockholm China Center. His research is focused on the protection of China’s overseas economic interests and China’s foreign policy. He has previously completed an internship at the Swedish embassy in China and has been a Young Ambassador at the Carnegie-Tsinghua Center for Global Policy, a Beijing-based think tank. 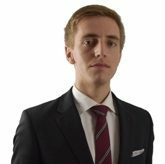 Mr. Nyrén is a graduate of Uppsala University and is currently a second-year M.A. candidate of global political economy at Stockholm University. He has studied Chinese at Peking University and Shanghai Jiaotong University respectively.